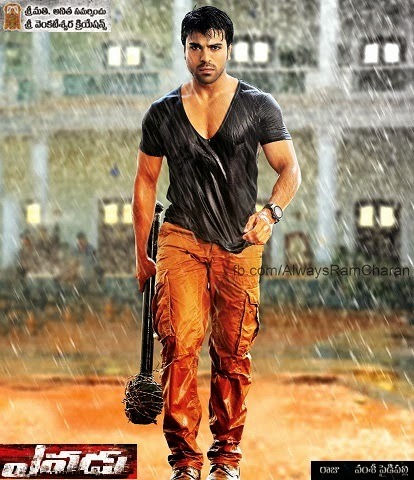 *) Hero Ram Charan action is simply superb. Especially, fight sequences are excellent. *) Director Vamsy Paidipally is having good experience in making these kind of movies. *) It looks like watching two movies (first-half and second-half) with one ticket. *) It is another Face-Off movie with two heros. *) Allu Arjun and Kajal appearance is good. But, it is very limited. *) Villain character Sai Kumar action is excellent after Prasthanam and Addam/Mirror. *) Jaya Sudha action and dialogues are very good. *) Music Director Devi Sri Prasad background music and songs are good. *) Looks like very regular story with routine scenes (Ex. Chatrapati), but, without any boredom. It is simply mass masala commercial movie.